Members of this committee review applications for homeownership and conduct interviews with applicants. After making sure that the applicant meets all criteria, they make a recommendation to the Board of Directors if the family should be selected as a partner family. This committee forms a relationship with the partner families. One person on the committee is paired with a family. That person becomes their mentor and will answer any questions that the family may have. He/She will also be responsible for collecting information from the Partner Family and keeping track of the family’s sweat equity requirement. 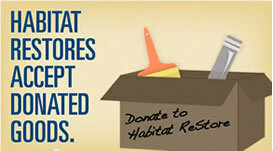 People on this committee search for sites that Habitat may obtain to build homes on. This committee works together on all phases of construction of the homes. This committee works on ways to raise money and public awareness of our mission. Works to develop partnerships with churches in the area, so that the churches' members donate to Habitat, sponsor homes, suggest family applicants and generally support the mission. Writing applications for different grants. 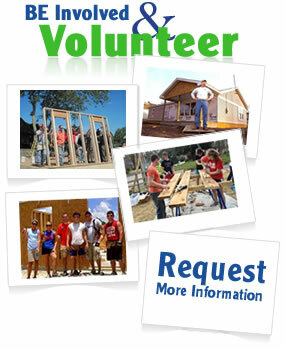 Arranges volunteers for different events that we may have, including construction.